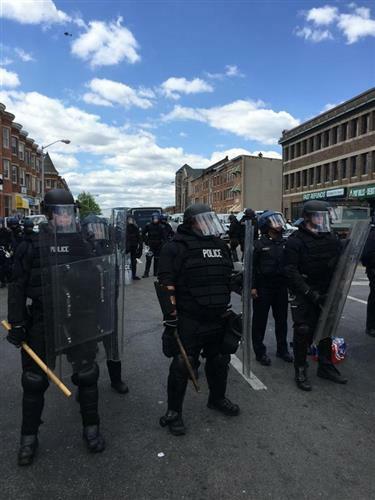 Nearly 200 people have been arrested as a result of yesterday's unrest in Baltimore, said Howard Libit, the city's director of strategic planning and policy. There were 144 vehicle fires and 15 structure fires, he said. 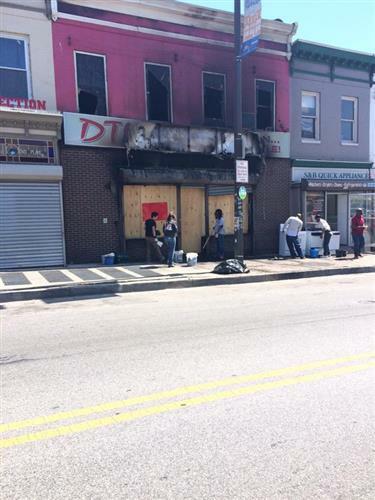 Volunteers are cleaning up areas where rioting took place in Baltimore yesterday, including near a CVS store -- looted and burned -- near the intersection of North and Pennsylvania avenues. 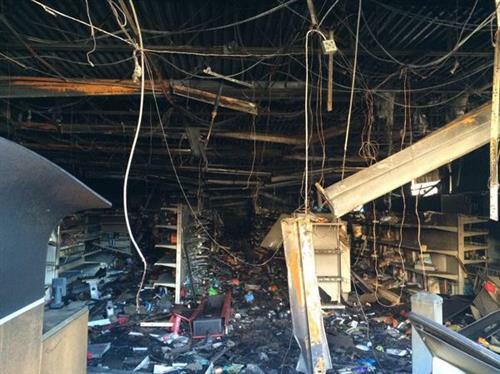 A Baltimore-area mall -- the Security Square mall in Windsor Mill, Maryland -- has closed for the day after concerns that it was becoming the focus of plans for possible violent protests and looting by Baltimore teenagers, law enforcement officials told CNN. A mall employee confirmed the closure to CNN. 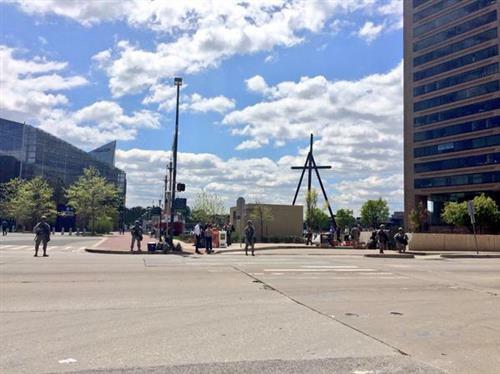 Law enforcement personnel had learned of plans to congregate at the mall, which is about 5 miles west of a different mall -- Baltimore's Mondawmin Mall -- where the violent protests kicked off Monday afternoon, the officials said. Maryland House Delegate Jill Carter slams the plan put in place by Baltimore's mayor to prevent riots following the funeral for Freddie Gray. For the second straight day, the Baltimore Orioles have canceled a home game. The team was supposed to face the White Sox tonight at Oriole Park. After consultation with MLB & state & local officials, tonight’s game between the Orioles & the White Sox at Oriole Park has been postponed. Also, Johns Hopkins University says it will hold no classes today in Baltimore city, though clinical employees in the city, such as those at the Johns Hopkins Outpatient Center, should still report to work. Update: Classes at all our schools in Balt. city will NOT be held today or tonite. The NFL's Baltimore Ravens, meanwhile, says it is canceling Thursday night's NFL Draft party at its M&T Bank Stadium "out of respect to the curfew in Baltimore. The party was to mark the start of this year's NFL Draft. "We're not going to have another repeat of what happened last night," Maryland Gov. Larry Hogan told reporters minutes ago. The governor said authorities would use "as much manpower and as many resources as we can" to try to ensure no more looting and violence. As far as he knew, there were no incidents this morning in Baltimore similar to the looting and violence of Monday night, he said. Authorities see those protesting after Freddie Gray's death "in a peaceful way" and those involved in Monday's violence "as two entirely different groups," Hogan said. "Criminal activity will not be tolerated," he said. 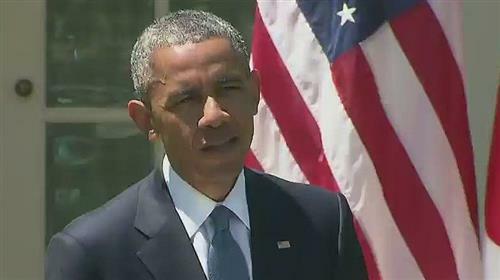 President Barack Obama is talking to reporters right now about the violent outbreaks in Baltimore. He said he condemns the violence. "There's no excuse for the kind of violence that we saw yesterday. It is counterproductive," Obama said at a news conference from the White House. 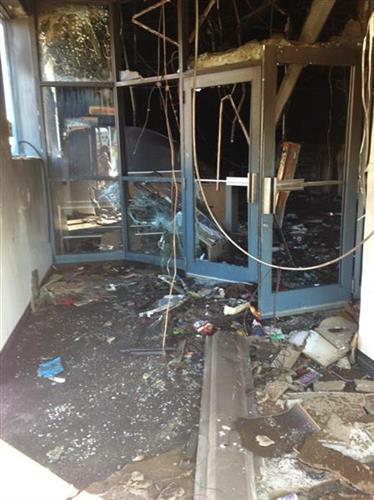 "When individuals get crowbars and start prying open doors to loot, they're not protesting. They're not making a statement. They're stealing. "When they burn down a building, they're committing arson. And they're destroying and undermining businesses and opportunities in their own communities. That robs jobs and opportunity from people in that area." 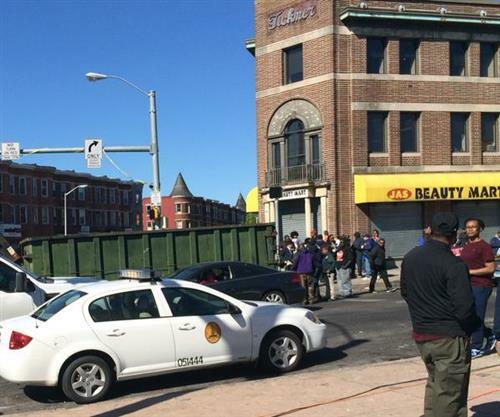 At the intersection of Baltimore's North and Pennsylvania avenues -- near where people burned vehicles on Monday -- scores of protesters gathered early Tuesday afternoon, watched by police wearing riot gear. Some of the protesters peacefully chanted “we want justice." "This has been going on for a long time. This is not new and we shouldn't pretend it's new," President Barack Obama said Tuesday about tensions between law enforcement and African-American communities, following Monday's unrest in Baltimore. More from President Barack Obama's remarks on Baltimore: After saying that there was no excuse for yesterday's rioting, Obama pointed to tensions with law enforcement that he said have boiled in African-American communities for decades. "This is a slow-rolling crisis," Obama said. "This has been going on for a long time. This is not new and we shouldn't pretend it's new." 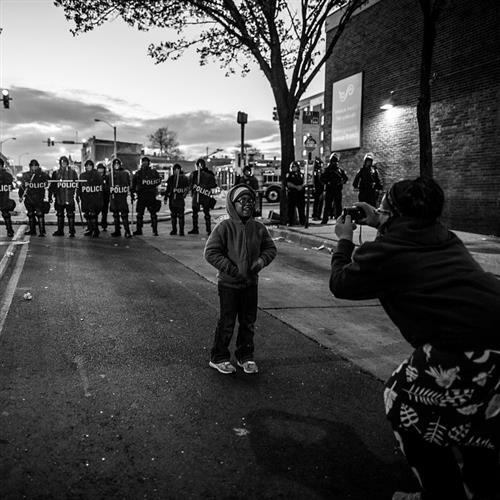 we're not going to solve this problem" and we'll keep seeing violence in cities. He said the country could take steps like criminal justice reforms to help nonviolent offenders gain employment and changes in police tactics, such as attaching small video cameras to each officer. "I think there are police departments that have to do some soul-searching. I think there are some communities that have to do some soul-searching," Obama said. "But I think we as a country have to do some soul-searching." 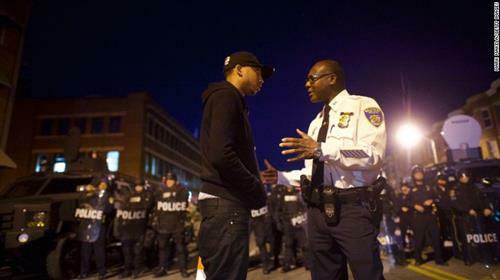 At least 20 police officers were injured as a result of the unrest that started Monday in Baltimore, city police Capt. Eric Kowalczyk told reporters Tuesday afternoon. At least 235 people have been arrested, police say. One person was critically injured as a result of a structure fire, Kowalczyk said. A city official said earlier that there were 144 vehicle fires and 19 structure fires. The Maryland National Guard now has 1,000 members on the ground in Baltimore, “ready to assist,” Col. Charles Kohler with the National Guard tells CNN. A gathering of a few hundred protesters at Baltimore's North and Pennsylvania avenues this afternoon has been peaceful aside from a brief scuffle between a protester and officers who were arresting him. At around 2:15 p.m., the protester appeared to throw something at a line of officers who were watching protesters, CNN's Ryan Young reported. The man resisted as officers arrested him, and police sprayed a substance similar to pepper spray -- affecting people nearby, including Young. Afterward, several protesters moved to the front, putting themselves between the officers and the rest of the crowd -- and told the crowd to move back. "We need to keep a barrier between them and us – us safeguarding (the protesters)," said one of the men directing the crowd to move back. He said he was disappointed in the person who had just been arrested. "It only takes a few to make it bad for the many." 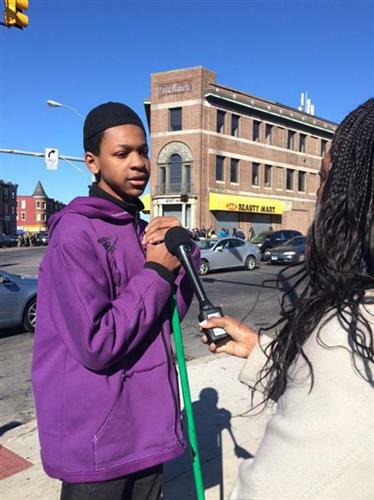 Towson University student Chris Simms has been driving around to the various fires around Baltimore and getting video for Instagram with his DSLR. You can follow Chris on Instragram. In what is believed to be the first game of its kind, Major League Baseball announced that Wednesday's scheduled game between the Orioles and White Sox will be played but will be closed to the public. After conferring with local officials, it was determined that Wednesday afternoon's game should be played without fan admittance in order to minimize safety concerns"
Last night was a very rough period for our city. 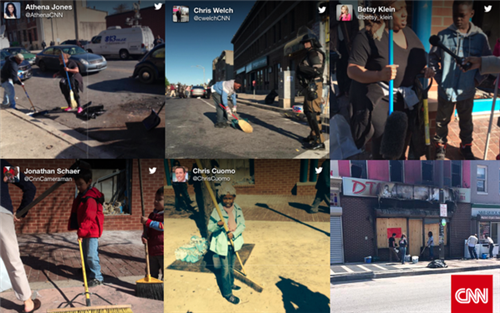 But today I think we saw a lot more of what Baltimore is about. 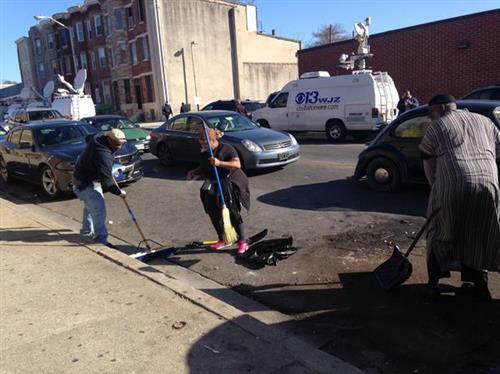 We saw people coming together to reclaim our city, to clean our city and to help heal our city. I think this can be our defining moment, not the darkest days that we saw yesterday. Responding to criticism that his department acted too slowly to riots, Baltimore Police Commissioner Anthony Batts emphatically said, "Yes, we were prepared." The decision not to move faster was related to the fact that many of rioters were as young as 14 or 15 and that the community did not want to see police use force on teens. They're old enough to know better, they're old enough to know not to do those things, they're old enough to be accountable, but they're still kids, unfortunately. So we had to take that into account while we were out there.
.@BaltimorePolice commish says he didn't want to use force on teens. Teaching them young that burning buildings = no consequences. 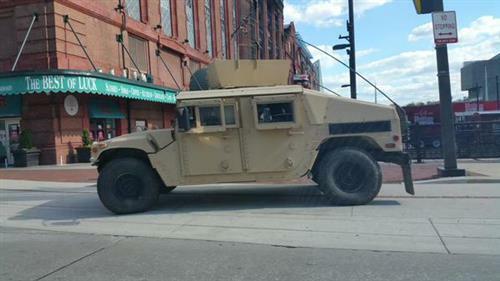 Some 2,000 National Guardsmen and more than 1,000 police officers from Maryland and neighboring states will be in the streets of Baltimore on Tuesday night, Maryland Gov. Larry Hogan just announced. This combined force will not tolerate violence or looting, which has led to the destruction of property and put innocent Marylanders at risk. You may have seen this photo making the rounds on the Internet. 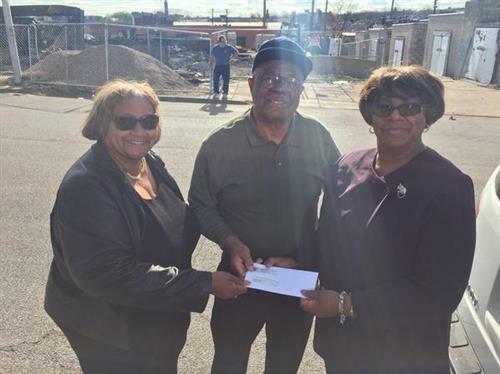 It was taken by Bishop Cromartie, who shared it with CNN. 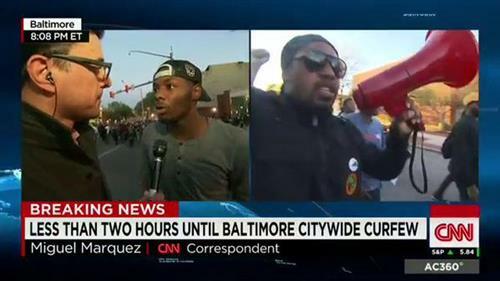 This is one of the most-widely shared videos from yesterday's Baltimore riots. A mother slaps and shoves her rioting son away from the mayhem. The mother has been identified as Toya Graham, and CNN's AnnClaire Stapleton spoke with her daughter, Tameka Brown. Tameka said her mom headed to the mall to pick up her brother so that he wouldn't get in any trouble. 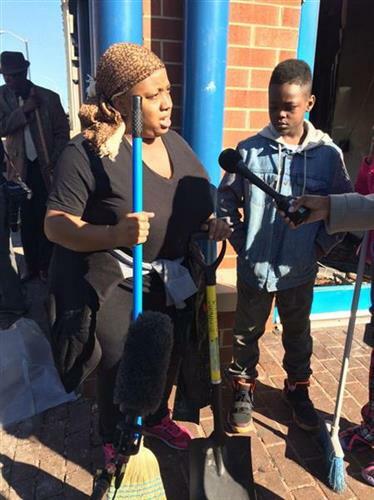 The mom picked out her son in among the rioters quickly. "She knows her son and picked him out- - even with the mask on, she knew," Tameka said. "My brother is 16," Tameka said. "He's actually grateful for my mom -- he knows she cares about his life and well-being and understands why she did it. "A lot of people's parents don't care about them and wouldn't go out and get their kid. She always been tough and know where we're at," Tameka added. 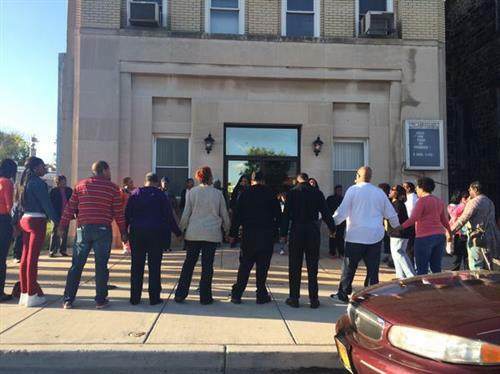 One agreement reached at the town hall in Baltimore: The Rev. Jamal H. Bryant tells CNN that the Bloods and Crips gangs will help enforce tonight's curfew. The clergy will supervise the effort. 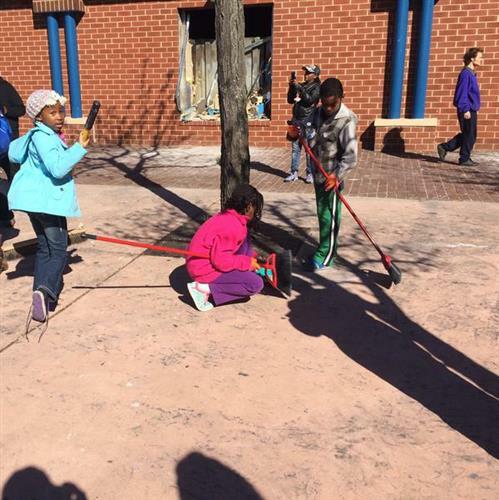 Baltimore City Schools will reopen on Wednesday. cnn.it/1DS7fuv. It’s not an isolated event. It’s an extinction-level event. A 16-year-old said her teachers and guidance counselors weren’t doing their job and helping her get into college. One of her friends was shot to death and another almost died. People think that it’s us but it’s not. I feel like nobody cares about us, nobody cares about me. We need to build more stuff for these kids … There’s nothing for them to do when they get out of school. … We’re asking, we’re begging you for help. 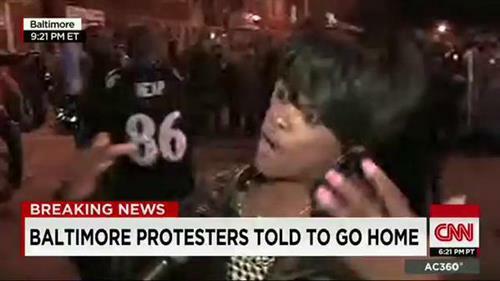 CNN correspondents in Baltimore say there are still some crowds of people, but the message being repeated over and over again is for people to go home. On social media, the countdown to the curfew has created a feeling that some compared to a bizarro New Year's Eve. Some protest leaders used megaphones to encourage residents to go home. The crowds appeared to be dissipating. Still, the measure is not a popular one. Officers are making arrests at Patapsco and 9th Street. A group started attacking officers w/ rocks and bricks. 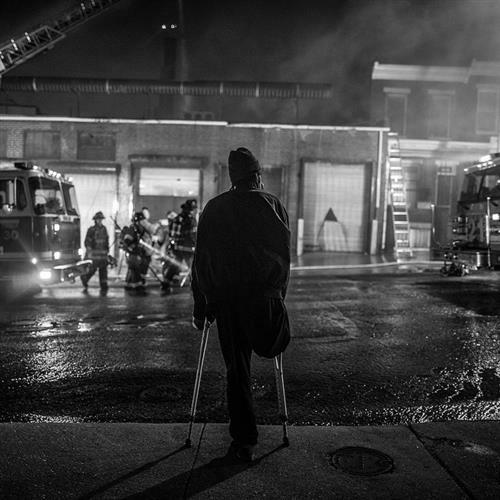 A mandatory 10 p.m. to 5 a.m. emergency curfew began late Tuesday in Baltimore. Police on Twitter said they were making arrests in one location, where they said people threw bricks and rocks at officers. 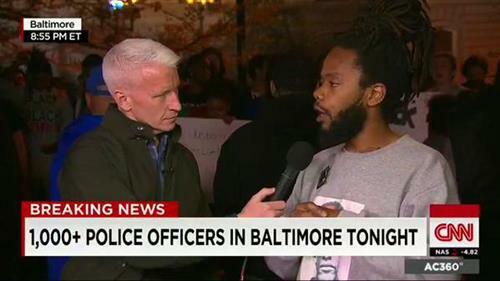 CNN's Anderson Cooper talks to Vietnam veteran Robert Valentine who says he stood up to rioters for their own good. "Returning violence for violence multiplies violence, adding deeper darkness to a night already devoid of stars.”—Dr. 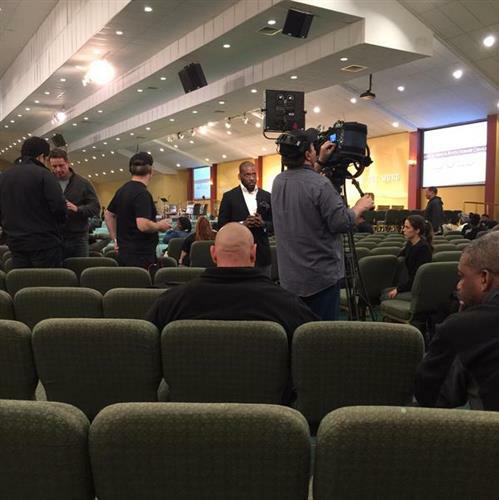 Martin Luther King Jr.
CNN's Jason Carroll speaks with Baltimore Rev. Pamela Coleman about the efforts to maintain peace amongst protesters, particularly the younger participants.